February 21st, was visitation and recruitment day for new participants at our NGO partner, Karanba! In the morning, we set aside the time for individual follow-up of the already recruited from Dream Learn Work – DLW and also check the current professional and academic track record of each of our young adults recruits. We took a look at the completed courses, the status of those that are in progress and the search for new courses and continuous overall improvement. All this, aiming for the best training and qualification of those involved, so that, more and more, they can get closer to their respective dreams and goals! In this process of accompanying young people, we also always have had the help and participation of the highly qualified Karanba professionals. 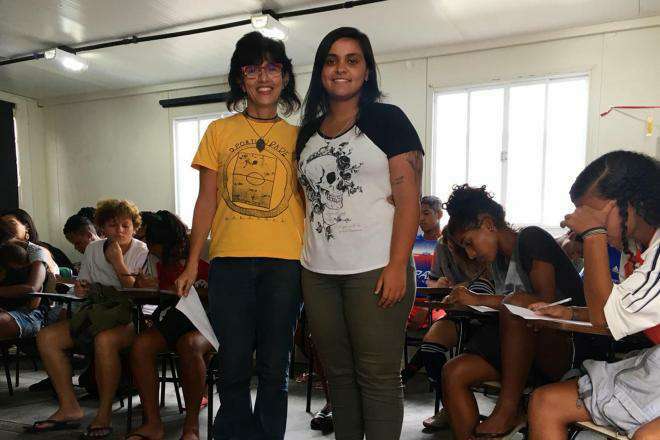 Our partner NGO has a team of distinguished professionals, such as pedagogues, anthropologists, physical educators, social workers, administrators and other professionals who are present in the daily life of these young people and know the local reality. This, in itself, already helps us a lot in collective construction so that we can best fulfill DLW’s mission, which is to give young people, from less developed areas, fair opportunities for a better future, through education and employment. In the afternoon, we left reserved to carry out our traditional recruitment for new participants at DLW. In this first recruitment of 2019 in Karanba, we had the participation of 27 members of the social project of São Gonçalo. All competing for 10 spots to join in our project as well. (iii) Work: Connect program participants with large companies, organize orientation programs, curriculum building workshops, research and interview training. Good luck to whom showed interest and that have already taken the first step in the pursuit of their dreams and in a better perspective of life through access to education, training and employment! 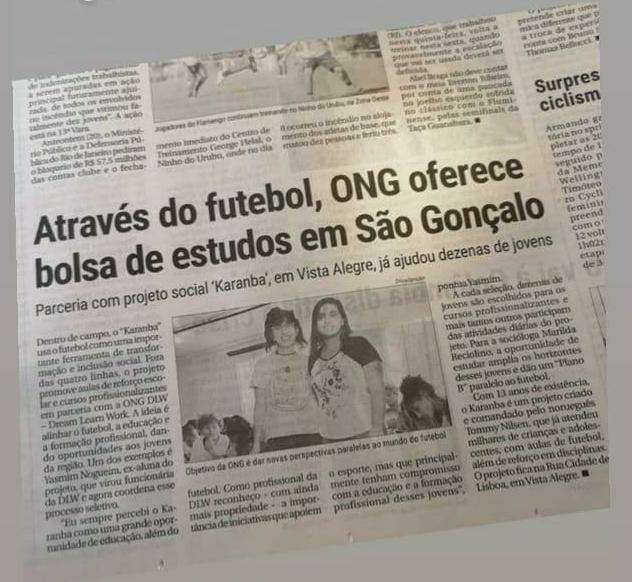 The day after our recruitment process and follow-up visit, Dream Learn Work and Karanba’s partnership made it on the local newspaper “O Fluminense”!